It is never too early or too late to learn how to decrease stress, enhance your relationship, trust and love your partner more, and live a healthier, calmer life. 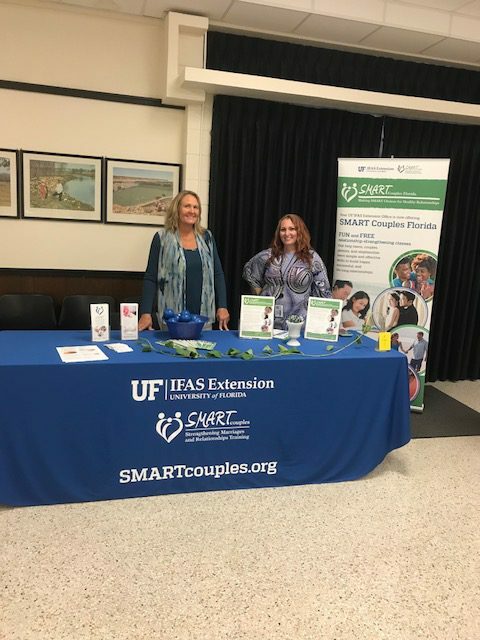 UF/IFAS Extension Manatee County is committed to helping individuals and couples in Manatee County that want to invest in themselves and their relationships. Classes are designed to teach you how to communicate your needs, listen to the needs of others, successfully resolve conflicts, and maintain happy and healthy relationships with everyone in your life. The participants will learn simple and effective skills to break negative cycles that can disrupt or prevent happy, successful, and life-long relationships. Before You Tie The Knot and ELEVATE. Before You Tie The Knot is a dynamic premarital program for individuals who want to learn more effective communication skills so they are realistically prepared for marriage, or for couples who are striving to start their marriages out right. BYTK is a couple’s education curriculum that blends practical skills with an understanding of human needs to enhance healthy relationship knowledge and skills. Both are FREE, five week programs that meet one night a week 6 – 8:30 pm at the UF/IFAS Extension Office at the Fair Grounds in Palmetto, 1303 17th Street West. Classes are offered on a continuous basis, repeating every 5 weeks. Check your schedule for a block of time that works best to invest in yourself and your relationship. 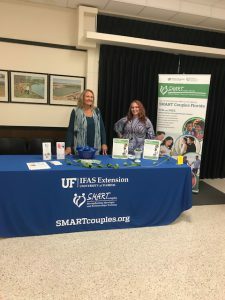 To register for your free classes call 941-722-4524 or on our easy-to-use website at SMARTcouples.org.